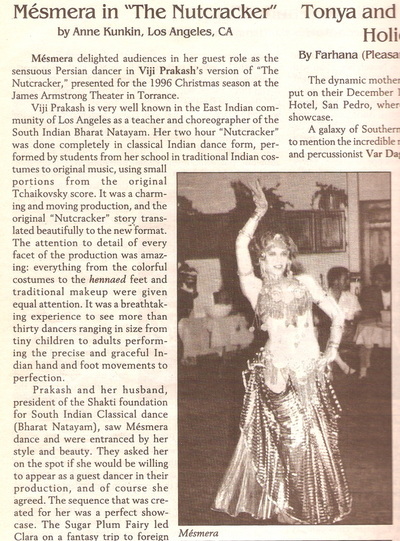 Names #52 on Feedspot.com "Top 100 Belly Dance Blogs on the Planet!" Mésmera transforms Adrienne Barbeau into a snake charmer for her new HBO series, Carnivàle. 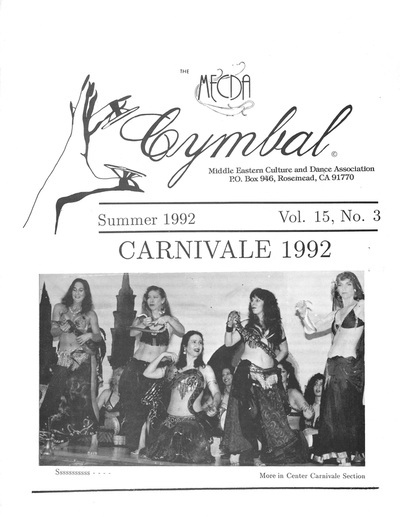 The Giza Academy was pleased to announce that Mésmera's performance on the video "Hollywood Babylon" is the 2002 winner of Giza Academy Award for Live Dance - Interpretative Category. 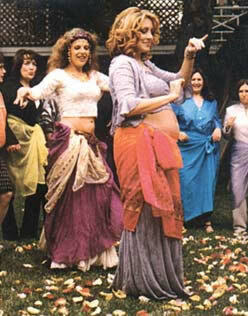 "To understand why belly dancing is enjoying such popularity today, it's important to set aside certain preconceptions. Banish the image of nubile harem girls undulating under an Arabian moon for the amusement of sheiks. Envision instead women of expanding waistlines and advancing ages finding their inner goddess under fluorescent lights at the local Y. 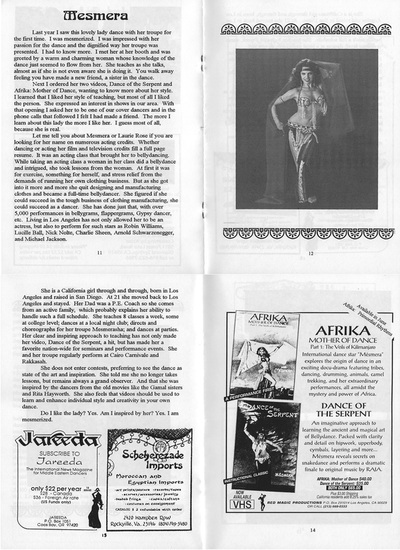 In the current resurgence of belly dancing, its reputation as a seductive art is played down. Rather, it is promoted as a way for women of all shapes and ages not only to tone their obliques but also to deepen their souls. The success of this message explains why sales of videos by "belly twins" Neena and Veena are soaring and gyms in New York City and Los Angeles are scheduling belly-dancing classes during hours once reserved for Pilates. It's why dance studios from Omaha to Anchorage can't accommodate everyone seeking to enroll. 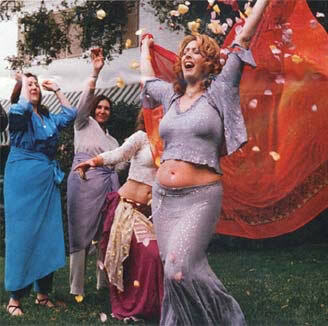 For many, belly dancing is chiefly notable as the one endeavor outside of a wedding in which women are encouraged to wear veils. But it has changed the life of Nebraskan Faith Erdei, 51, a mother of 12 who works at a nuclear-power plant. Every week she drives the 50 miles to Lincoln to attend class because it's the one place she can feel feminine. Roni Flory, 27, of Carrolton, Texas, says learning to express herself through belly dancing has made her more effective at her sales job by giving her the confidence to talk to anyone. Improved self-esteem was probably not why belly dancing evolved thousands of years ago. Though its origins remain murky, it was probably first performed in the Middle East,then spread through that region and North Africa. 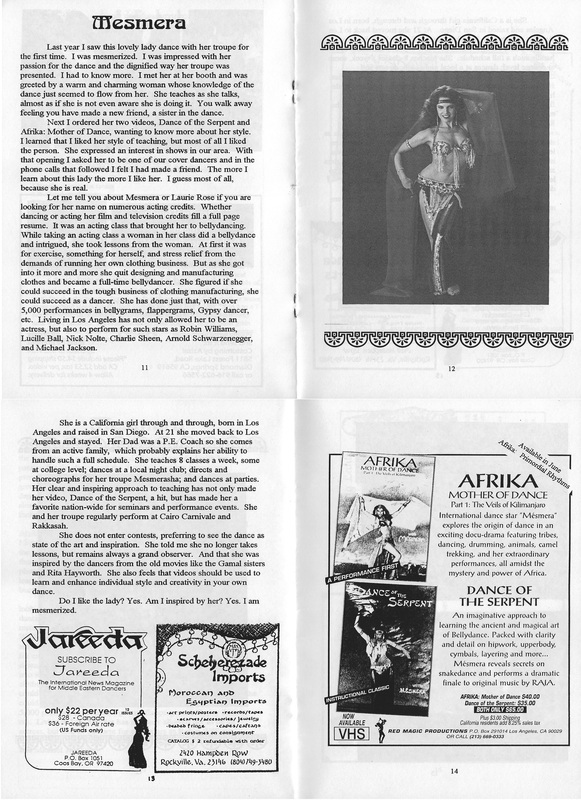 The term belly dancing is a misnomer adopted in the West in the 19th century: in ancient Middle Eastern societies, women would have been forbidden to show their midriffs. 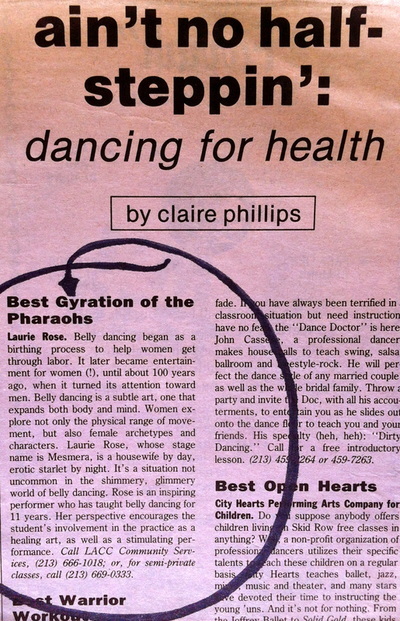 Most modern practitioners contend that belly dancing was designed not for sexual enticement but as a fertility ritual or for birthing ceremonies for and among women. There has also been speculation that the rotating pelvic movements arose from the action of stirring soup. It's much easier to pinpoint how and why belly dancing has caught on at this moment in the U.S. Following the 9/11 attacks, people began seeking knowledge about Middle Eastern society. Marta Schill, president of the 25-year-old Middle Eastern Culture and Dance Association, says membership has grown more than 30%, to 1,000, over the past year. 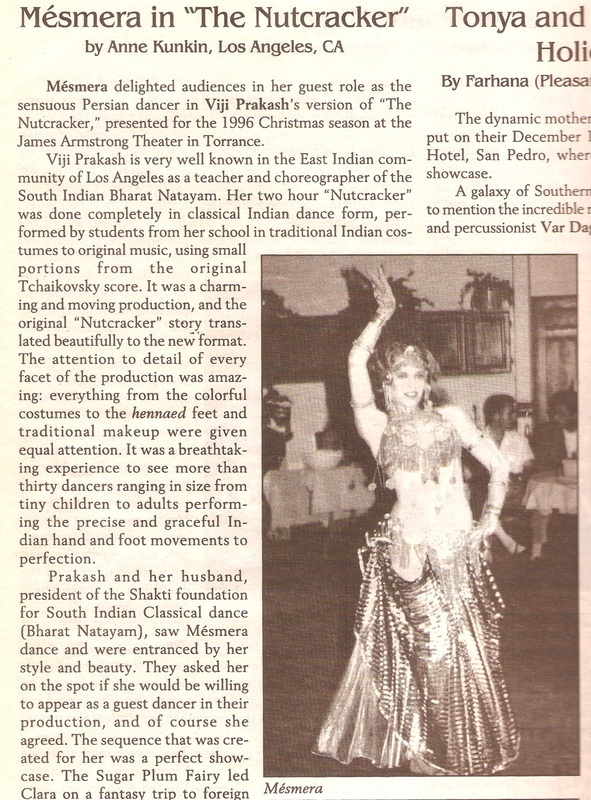 This desire to learn about Arab traditions coincided with the release of music videos by pop stars Shakira and Britney Spears, who bared their stomachs and belly danced with abandon, sparking the interest of teenagers and young adults. 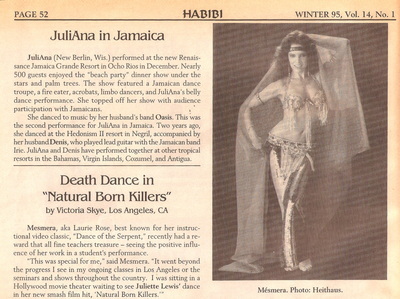 "When the room is packed, I say, 'Thank you, Shakira and MTV,'" says Mésmera, who teaches belly dancing in Los Angeles. 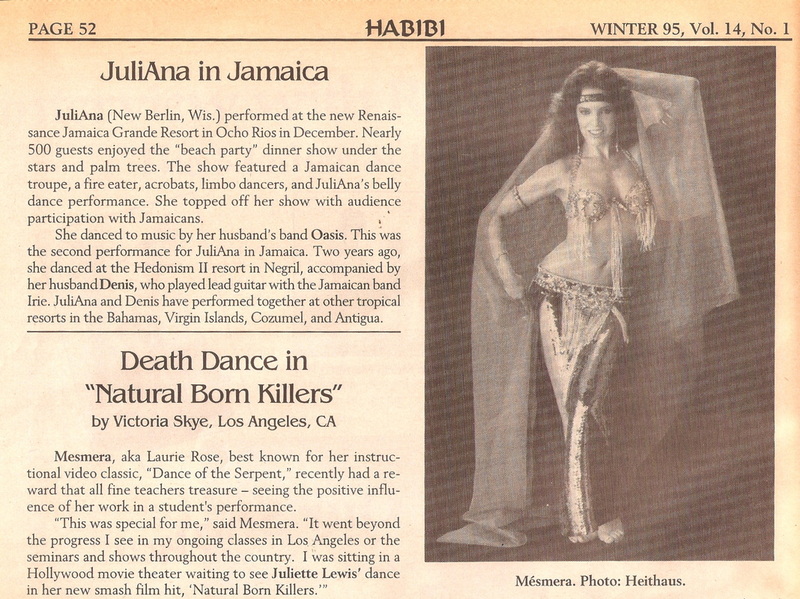 Mésmera (real name: Laurie Rose) began belly dancing 27 years ago and in recent months has seen her class sizes swell. She says she doesn't care what brings people in; she's just happy to get out the message that belly dancing "gives you a stronger sense of self," even if that self doesn't look like Shakira. "We're all different shapes and sizes, but Mésmera makes everybody feel beautiful," says Monica, a high school teacher. Echoes Suzy Roan, 44, a divorced bartender who teaches belly dancing in a suburb of Anchorage: "It's one of the few dancing arts where it's totally acceptable to be yourself. If you're plump, it's O.K." Mésmera's classes resemble those taught nationwide. Even in a beginners' class, most of the 20 students wear flowing skirts in cotton or gauze and scarves adorned with coins tied low on their hips. After breathing exercises, the students are instructed to twist their hips slowly in a figure 8 while extending their arms to the side. 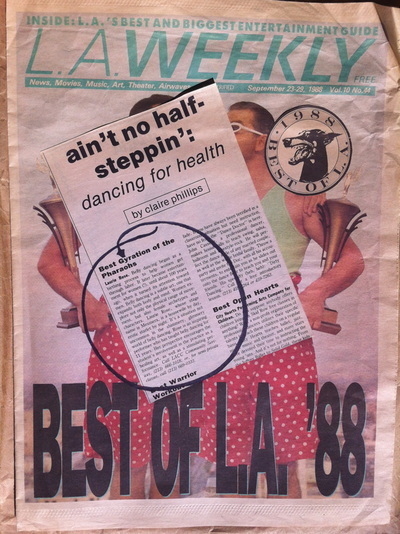 Later come side-to-side hip sways, pelvic thrusts and serpentine torso waves done to a rhythmic drumbeat. 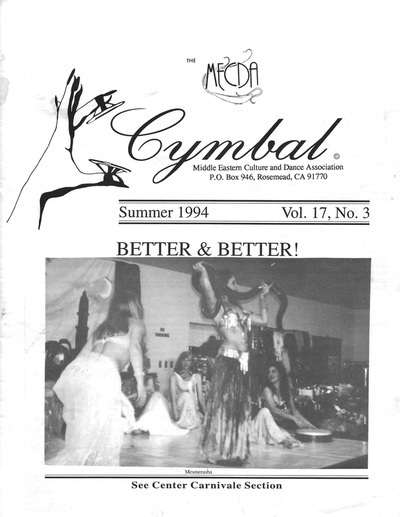 Occasionally classes are accompanied by live percussionists, and women play finger cymbals called zills, though CDs with Middle Eastern music and singing are often used. Americans tend to treat ancient rituals like new cars, customizing them for convenience, then trading them in when something more exciting comes along. But that isn't the way belly dancing is seen by people like Don Gold, president of StudioWorks, a Thousand Oaks, Calif., video distributor whose parent company gave the world Tae-Bo. Gold just signed a deal with belly-dance instructor Dolphina, who teaches in Los Angeles, to distribute her Goddess Workout Fitness Video series because "we think we're ahead of the curve of a new revolution." It's possible that the practice will become classic, like yoga, but there's always the danger that it could end up in the used-trend lot, discarded and rusting like step aerobics." Mésmera was recently featured in InStyle magazine for her appearance at Joely Fisher's star-studded baby shower! 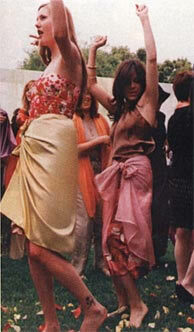 "Guests burned away all the calories by dancing on the lawn, enticed from their tables by the rhythm of pounding drums. One by one the women joined hands as Mésmera instructed them in the art of hip shaking. "I'm Lebanese, so I used to belly dance for my allowance," boasted Najimy as she shimmed, twirled a silk veil, and then sprinkled her former Ellen co-star with a handful of rose petals. 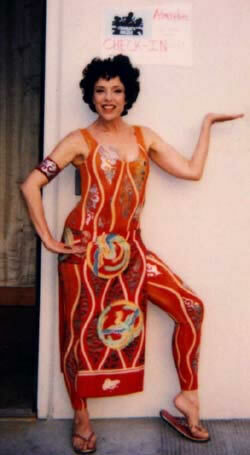 She may have danced circles around the other partygoers, but later, as the guest of honor tackled the mound of presents, it became readily apparent that the attendees were all equally adept at hunting down the most stylish baby booty..."
Here's Mésmera outside the set for Tim Curry's Penthouse Party in the Charlie's Angels MOVIE! You'll see a glimpse of her dancing with her snake, Isis, behind Drew Barrymore and Cameron Diaz (also starring Bill Murray). 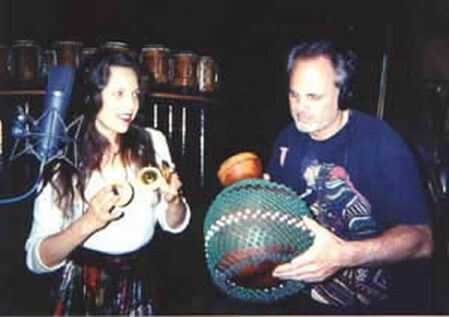 Mésmera and Brent Lewis recording a track for his Christmas CD, "Jungle Bells."